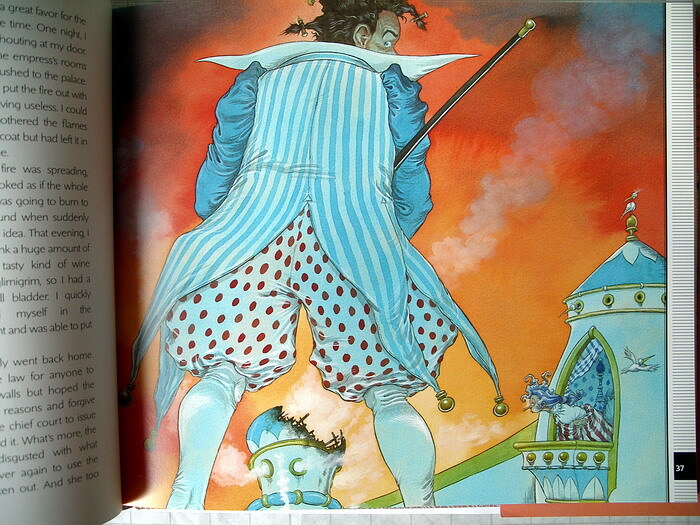 The 18th century gentleman Lemuel Gulliver travels to many distant countries, encountering strange populations and enduring many ordeals and mishaps before returning home. 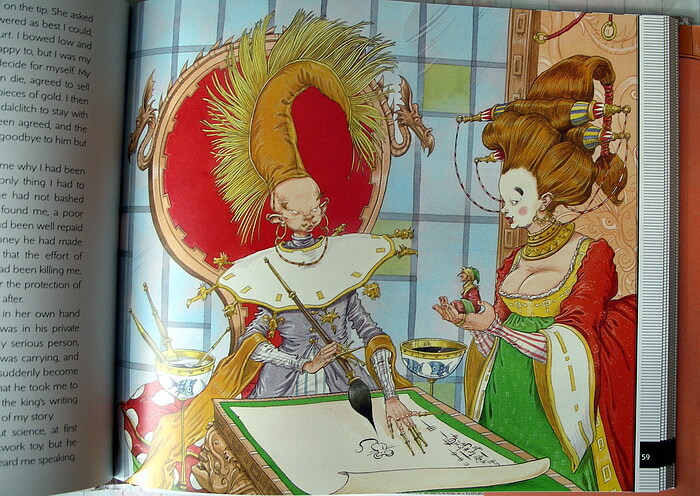 This most classic of satirical novels, written in 1726 and in continuous print ever since, is retold with grotesquely hilarious illustrations by Chris Riddell. From the tiny citizens of Lilliput to the gigantic people of Brobdingnag, the sky city of Laputa and the talking horses of Houyhnhnms, Gulliver relates his adventures in the pompous language of travel literature of the time. 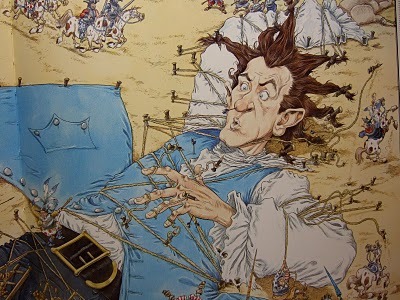 Happily, Riddell’s illustrations keep the tone light and comic, reminding us always that Gulliver himself is a rather ridiculous, gullible, and foolish fellow. The foreign customs and fashions which he encounters are entertainingly outlandish and there are a few off-colour moments of low humour. (Gulliver extinguishes a Lilliputian palace fire by urinating on it. The queen is not pleased.) There are also moments of high satire, as in the wonderful account of the warring political factions in Lilliput: those who open their boiled egg at the larger end vs. those who open their eggs at the smaller end.